1. 7 districts and 1 county town. 2. 79 communes in malaria-endemic areas. 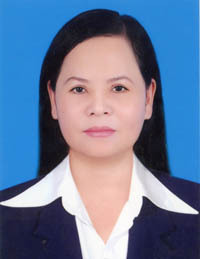 Tran Thi Kim Tuyen, MD. 1. 6 specialized departments and 2 functional departments. - Provide counselling for the Director of the Provincial Health Service o­n the deployment of technical and specialised tasks of preventive medicine o­n the provincial scale. - Develop and submit the implemention plan of technical and specialised duties of preventive medicine o­n the basis of the MoH's strategic orientation and provincial situation to the Director of Provincial Health Department for approval. g) Undertake services of preventive medicine according to the assignment of director of Provincial Health Service and the regulations of the law. k) Carry out other tasks assigned by the director of Provincial Health Service. 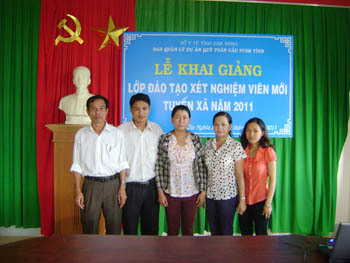 - Certificates of merit of MoH for 10 groups and 9 individuals of the centre for the excellent achievement in carrying out preventive medicine activities and other projects of the National Health Target Program such as extended vaccination, childhood malnutrition prevention, food hygiene and safety, malaria control. 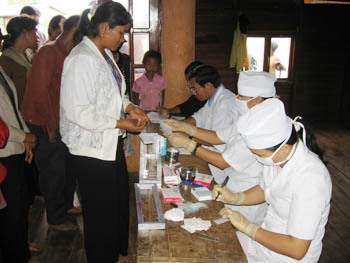 - The title "Typical Unit" of Provincial Medical Branch of Dak Nong period 2004-2010.